If betting on the Preakness ponies and getting sloshed in the Pimlico infield has little appeal, Republican Sen. J.B. Jennings is offering a bang-up alternative Saturday afternoon. 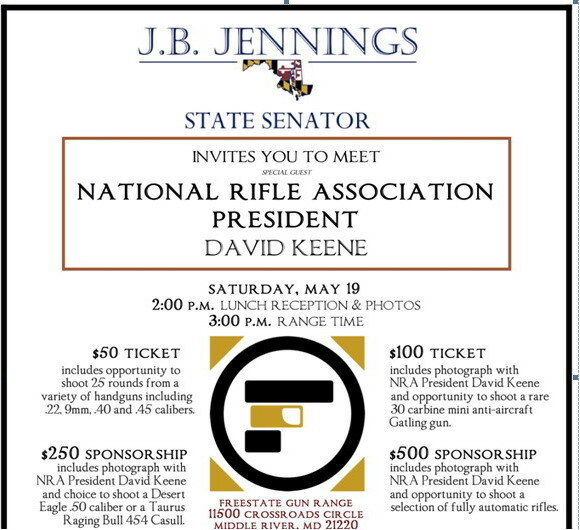 At the Freestate Gun Range in Middle River, for a contribution to Jennings’ campaign you can have your picture taken with National Rifle Association President David Keene and then pick up your weapon of choice for shooting practice. A $50 ticket includes the “opportunity to shoot 25 rounds from a variety of handguns, including .22, 9mm, .40 and .45 calibers,” says the invitation. Sorry, no photo with the NRA prez. And there’s lunch before you hit the shooting range. 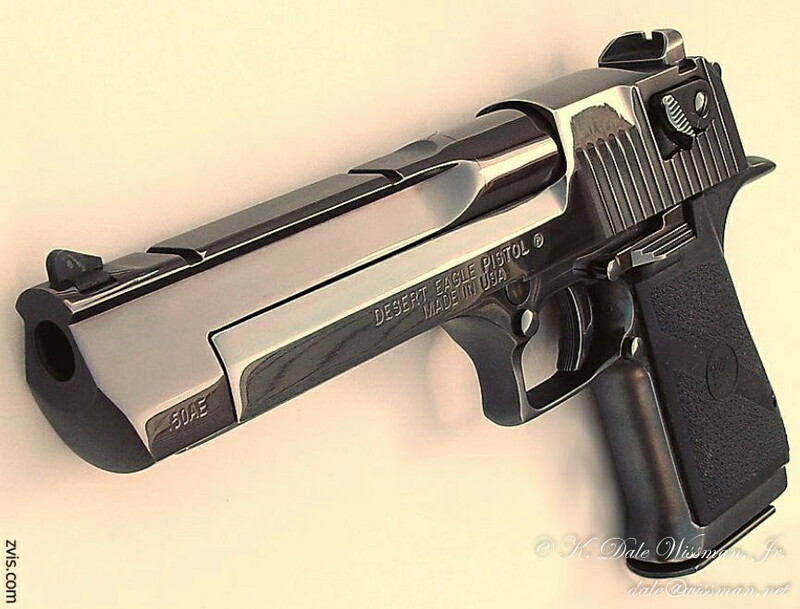 The gun-toting fundraiser may not stir up as much controversy as the Beretta pistol raffled by the Carroll County Republican Central Committee 12 years ago, including a rebuke from then-Congressman Bob Ehrlich. But it may provide a bit of distraction from the pot stirred this week by the racial remarks on Baltimore City gangs by fellow District 7 lawmaker, Del. Pat McDonough.